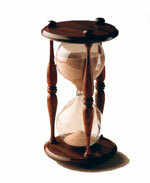 The time limits that apply to medical malpractice and wrongful death cases are set by Statutes of Limitation. Statutes of limitation are laws that set the time limits within which all medical malpractice and wrongful death cases must be filed in court. If a medical malpractice or wrongful death lawsuit is not filed before the time limit set by the statute of limitation runs out, then the lawsuit is barred and the cause of action lost forever. The following are questions we commonly are asked about the statutes of limitation for medical malpractice, surgical malpractice, and wrongful death cases. What are the purposes of statutes of limitation? 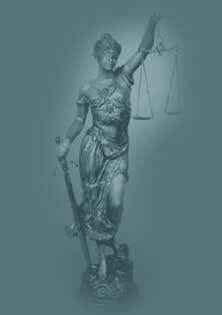 Why are statutes of limitation for medical malpractice and wrongful death lawsuits so important? Are the time limits set by statutes of limitation for medical malpractice and wrongful death the same in every State? How can I find out the statutes of limitation for medical malpractice and wrongful death in my State? When does the time limit set by statutes of limitation begin to run? Can time limits set by statutes of limitation for medical malpractice ever be extended? Are there exceptions to the general rule that a cause of action for medical malpractice or wrongful death accrues when the negligent act occurs and the injury is suffered? What is meant by the "tolling" statutes of limitation? Is there ever an exception to the general medical malpractice and surgical malpractice statutes of limitation rules for children / minors? Are time limits for filing a law suit for medical malpractice or surgical malpractice extended when the victim of malpractice is a minor child? Are statues of limitation for medical malpractice / surgical malpractice extended when a foreign object, such as a sponge or surgical instrument is left in the patient's body? What if a surgical instrument was left in me but I didn't know it? What is the "continuing treatment" exception to medical malpractice statutes of limitation? Can the "fraudulent concealment" of malpractice by a doctor or surgeon toll the statutes of limitation? Is there an exception to the general medical malpractice and surgical malpractice statutes of limitation rules when the patient is physically or mentally incapacitated?